Most people enjoy videos on the various digital devices, such as: tablets, smart phones, and PCs. And most people have more than just one digital device. What if you want to watch a self made video and it turns out that the devices you have don't support the video format? Besides, What can you do if you'd like to decrease the video file size when you want to play it on a smart phone or tablet? Here's a useful tool for all of you- WonderFox HD Video Converter Factory Pro, a video converter which supports to convert HD video to 300+ formats and devices. 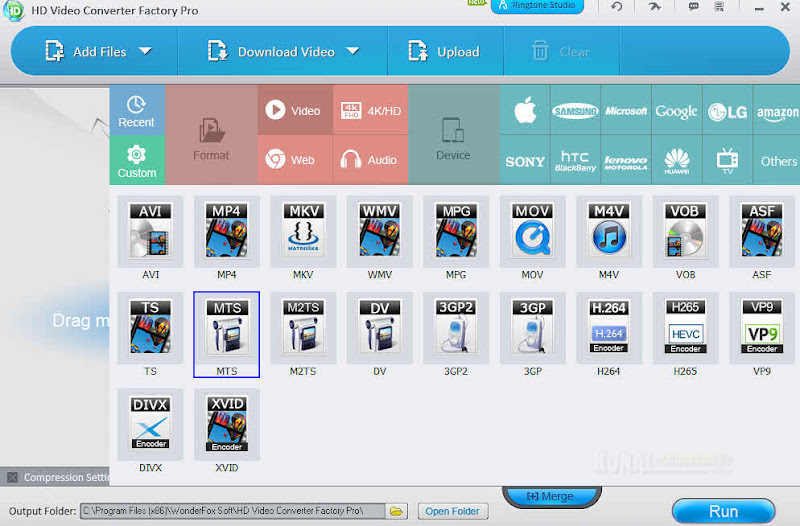 Integrated with advanced technology, WonderFox HD Video Converter Factory Pro supports to convert various video formats. You can find all the popular formats here, such as: 4K video, H265, VP9, MKV, MP4, AVI, H264, MTS, M2TS, FLV, SWF, HTML5, WEBM, TOD, VOB and more. Besides, it also supports to extract audio from the video file. Also users can convert the extracted audio to other formats, such as: MP3, FLAC, ALAC, WAV, AAC, AC3 WMA, MKA, M4B and more. Moreover, if you're looking for a tool to help you to reduce video file size, thus enough space will be left in your portable device. 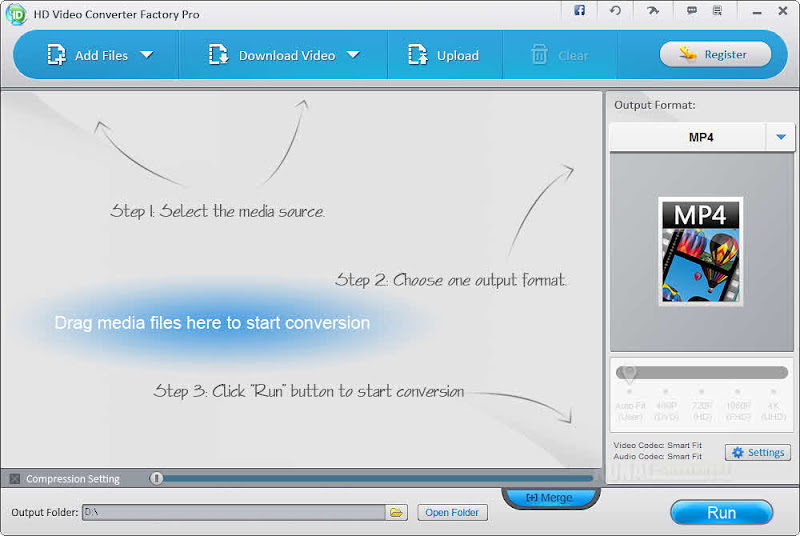 Then you can use HD Video Converter Factory Pro to accomplish the task for you. WonderFox HD Video Converter Factory Pro can also be viewed as a online video/audio downloader. It supports to download online HD video/audio from YouTube, Vimeo, MetaCafe, Facebook and more. Users can follow the instructions on the interface. First click on the "Download Video", then paste the URL of the file that you want to download in the software. Next, click on "Analyze", then the software will automatically analyze the source of the file. Last, click on "Download", the video will be downloaded with fast speed. Users can feel free to edit the output video with the built-in video editor. You can remove the unwanted part in the video, add or remove subtitles. Besides, you can also merge multiple videos into one video. Some editing features can also be added to the video, such as mosaic, blur, sharpen, emboss, noise, old film, etc. Customize settings is also supported here. It allows users to customize the settings of the output video, such as bite rate, resolution, frame rate, aspect ratio and more. * Please note the giveaway version doesn't support lifetime free update. * Last day to grab and activate the license for FREE is: 20th Nov, 2017. If you have come this far, it means that you liked what you are reading (HD Video Converter Factory Pro: Convert HD Video With Fast Speed).